South Asians in Silicon Valley had a big weekend with both TiE(The Indus Entrepreneur)and HDF(Human Development Foundation)holding their annual events. These events brought out the powerful, rich and famous with origins in the sub-continent including former Pakistani Prime Minister Shaukat Aziz, Lord Nazir Ahmad and celebrity politician Tariq Aziz. While Mr. Shaukat Aziz was the keynote speaker on Thursday evening at the TIE Global charter member reception, the Human Development Foundation annual fundraiser was addressed by Lord Nazir Ahmad and Tariq Aziz, among others. Mr. Shaukat Aziz was warmly received by the The Indus Entrepreneur charter members as he spoke about the opportunities for American and South Asian entrepreneurs and investors in both India and Pakistan. "They can help lower the temperature and build trust, which is needed to resolve disputes," he said of TiE effect on the political animosity between India and Pakistan. 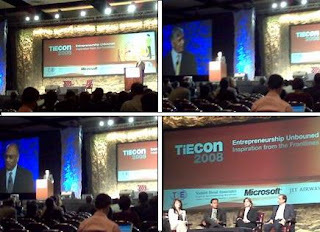 Beyond the TiE Global charter member event on Thursday night,the TiEcon 2008 conference continued through Friday and Saturday. 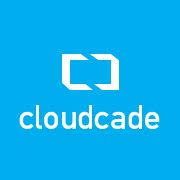 There were some 4,000 attendees at the Santa Clara Convention Center, packing keynotes and parallel panel discussions on topics such as the Internet economy, green technologies, life sciences, what's hot - and not - in mobile phones to next-generation enterprise software programming. 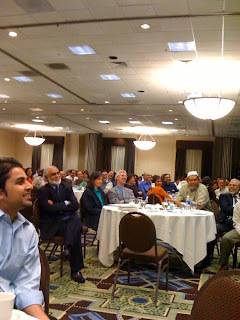 The fundraiser was attended by over 500 Silicon Valley Pakistani-Americans and others at the Wyndham Hotel in San Jose, CA. It featured Lord Nazir Ahmed as the keynote speaker as well other speakers including Ethan Casey, author of a travelogue "Alive and Well in Pakistan" and Prof John Mock, a professor of Hindi and Urdu at University of California Santa Cruz. The event raised over $140,000 for building schools for the poor children in Pakistan. As usual, Mr. Javed Khan, Mr. Shahid Khan and Mr. Ather Siddiqui were at the forefront of this effort. 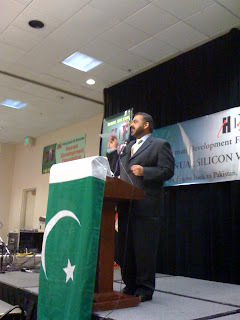 Lord Nazir, in his keynote, talked about the continuing difficulties faced by Pakistanis. He said that Pakistanis have lowered their expectations from "roti, kapra and makaan" to "roti, bijli and paani" and were still struggling for the lowered expectations. He was critical of Musharraf. 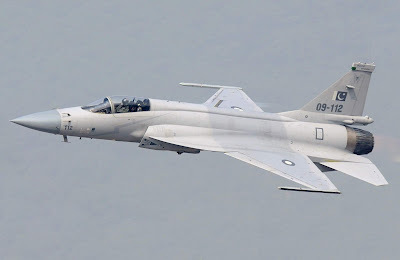 Ethan Casey, however, said he has been going to Pakistan for over twelve years and he found all successive governments from Bhutto to Sharif to Musharraf all deeply flawed. Casey felt that Pakistanis are quite used to dealing with continuing crises and they will rise to the occasion and address their problems without relying on the governments. He particularly thought that the Pakistan expatriate community can help. Though Lord Nazir Ahmed was a keynote speaker, he almost stole the show from comedian Azhar Usman with his jokes. For example, he said his mother does not understand what a British lord is. She thinks he has become a Tehsildar, a notch above the Numberdar, the highest government official in the village where he was born near Mirpur. What he said sounded a lot funnier in Punjabi. Then he had a sirdarji joke about a sikh who told him he was "Lord Ranjit Singh". When Lord Nazir expressed surprise about not having seen him in the British House of Lords, Ranjit Singh explained, "I was a landlord in Punjab. I left the land back home. So, in the UK, I am just a lord, not a landlord." 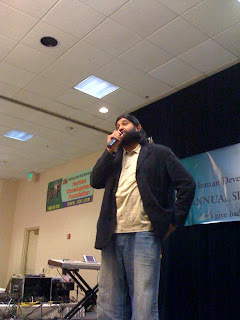 The speeches and fudraising were followed by stand-up comedy performances by Samson Koletkar (who claims to be "the world's only Indian Jewish comedian") and Azhar Usman (Allah Made Me Funny) who looks like Osama Bin Laden and jokes about it. Samson is young and emerging desi star comedian who warmed up the audience before the better known Azhar Usman took the stage. Samson has pretty good material but his delivery was a bit lacking in its effect. He had a couple of very good jokes about his Jewish-Indian parents. For example: "Most comedians say their dad is so cheap that.... When I hear that I say to them "You talk about cheap. My dad is an Indian Jew. Now beat that!" Another one: " My Jewish mother in India wanted me to marry " a nice Jewish girl", a Jewish mother in New York wants her son to marry " a Jewish girl". But a Jewish mother in San Francisco just wants her son to marry "a girl". Azhar's famous intro line that gets the audience laughing is " Hello, I am not Osama Bin Laden. I am his cousin Osama Bin Laughin". He had a lot good material about desi and Muslim humor in the US. For example: "You often hear Muslim men described as terrorists and Muslim women as oppressed. Have these people actually been inside a Muslim household to observe it? If they really do, they'll find the reverse to be true. Muslim men oppressed and terrorized by their women." pair of shoes costing a hundred dollars in Chicago. My dad's response: "Pagal ho kiya? Soo dollar ka joota pehno gai?" Then my dad took me on a trip to Patna market in Bihar where he found me a Nike pair that looks exactly like the one I saw in Chicago. But when you look closely at the logo, it says "Nice". As the population of South Asians of various ethnicities, religions and opinions grows from tens of thousands to hundreds of thousands in this high-tech hub, it seems that Silicon Valley is becoming a center of South Asian culture and business in the West. This region can serve as the bridge between this great nation and the emerging economic and political powers in South Asia. Great site -- I've just started looking into how to invest in emerging markets directly. So far though, I've been focused on China. It will be great to learn about these markets. You're definitely filling a niche here - keep it up! Thanks for your comment. I see synergy with your website and I'll link to it.